When purchasing a laptop, many pay attention to what comes together with it operating system. Laptops without Windows operating system, as a rule, are cheaper than her. The installation of Windows can be made from the hidden partition laptop hard drive and external storage media. Even if you bought a laptop preloaded with Windows XP operating system, it would still need to install. This is done quite simply. To install Windows XP from the hidden partition just connect the laptop to the mains (so the laptop is not turned off during installation, because the battery and press the power button. When you first turn on laptop install Windows XP from the hidden partition will start automatically. Carefully follow the installation exhibited in its process all the necessary options (including regional). During the installation the computer needs to reboot several times. After installation, the device must be a desktop operating system. The laptop is ready to work. If the laptop comes without operating system Windows XP and it has an optical drive, the most convenient way to install operating system on laptop is to install from the CD-ROM. To do this, turn on the computer and go into BIOS (with the buttons F2, F9 or F10 depending on the brand of laptop). In the BIOS, find the tab "Boot Device", and adjust the download queue in such a way that first it was the CD-ROM. Insert the disc in the drive and restart the computer. After reboot, you will need to press any button on the keyboard, to the operating system start to boot from the disk. Select the HDD partition on which to install the operating system, breaking if necessary, a physical disk into logical. At the end of the installation on the screen of the computer should be a desktop operating system. Install Windows XP from a flash card is similar to installing from a CD-ROM. The only difference is that in the BIOS the first in line to boot must stand the USB device. The Windows XP installation files are written to the flash card with the help of special programs. 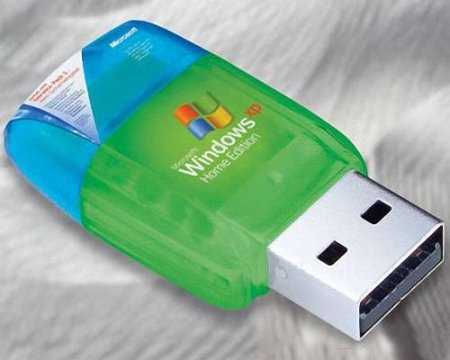 When you install Windows XP from a hidden partition you will not be able to split the physical disk into logical. This can be done under Windows with the help of special programs.